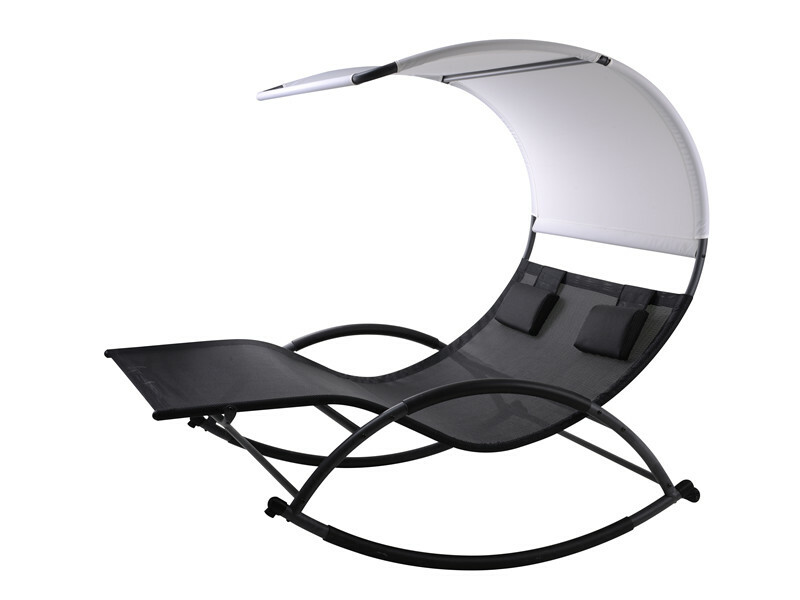 The Garden Chaise Rocking frame is made from durable gray powder-coated tubular steel. The seat and canopy are made from textilene material so it is breathable and easy to clean. This couple seat Rocking Chair is the perfect summer accessory in patio , deck and garden.Relax on patio on a soothing rocker. Our rocking lounge chair will make you're neighbors envious of your outdoor living area. Show them how stylish and trendy you are with our new rocking chair. Have a seat in this orbital rocking lounge chair and let your worries wash away as you enjoy the beautiful summer days. Put some ice in your drink, have a seat and enjoy the great outdoors with this beautiful lounge seat. Looking for ideal Chasie Rocking with Canopy Manufacturer & supplier ? We have a wide selection at great prices to help you get creative. All the Garden Chaise Rocking are quality guaranteed. We are China Origin Factory of Hotel Used Rocking Bed. If you have any question, please feel free to contact us.